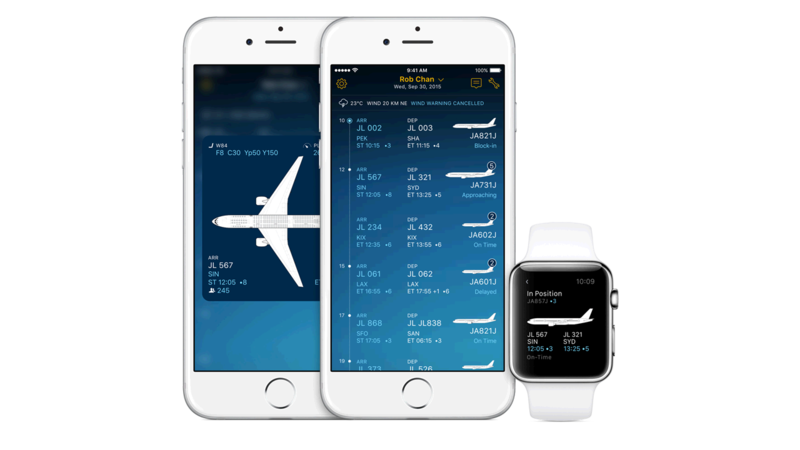 With IBM MobileFirst for iOS Inspect & Turn, airline mechanics get real-time access to a digitized set of work assignments and analytics-driven recommendations. With IBM MobileFirst for iOS Inspect & Turn, airline mechanics get real-time access to a digitized set of work assignments and analytics-driven recommendations. To prevent costly aircraft delays, line maintenance mechanics must complete their work between arrival and departure. Now, mechanics can easily view and proactively prioritize work orders on iPhone and Apple Watch and get expert support using Inspect & Turn. They are able to receive analytics-driven suggestions, helping them troubleshoot problems and work more efficiently. This additional information can help ensure quicker turnarounds and more on-time departures. Collect photo and video evidence with the built-in camera on iPhone. Access expert support when needed through FaceTime. Get instant access to all the relevant information about the aircraft – including work history, crew reports and necessary parts and tools required for the job. The app lets you input maintenance information as it is gathered in real time, so there is less paperwork and fewer errors.